Adjustable security collar provides additional assurance against unintentional slippage of the upper pole. 25” diameter pentagonal aluminum tray with an 8 hook top. 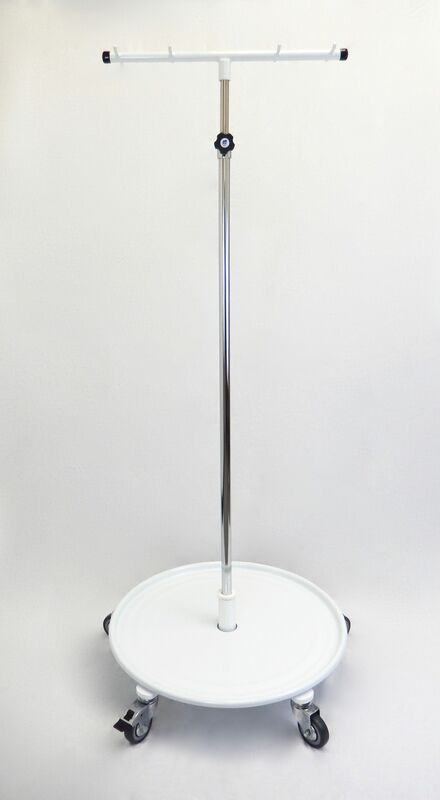 1” x 3/4” diameter stainless steel telescoping pole. Height adjustable from 55 1/2” to 98 1/2”. Ships in 1 box (24 3/4”x 8 3/4”x 21 3/4”, 38 lbs) and 1 tube (2 /14”x 54”, 6 lbs).